A passion of the farmer Richard Rabanser is the carriage tour in summer and winter. 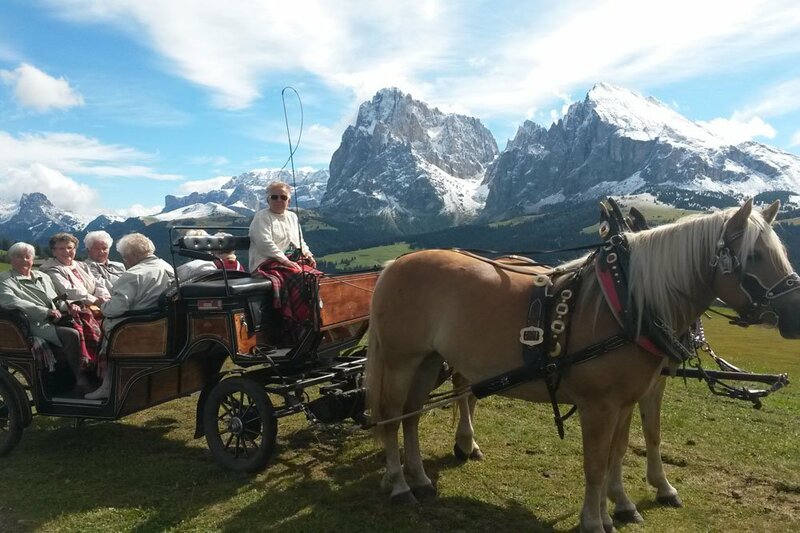 Upon request we plan and organize for you carriage tours on the Siusi Alp. We use the wonderful Haflinger horses, typical of this region. According to your wishes you can book one-hour tour or also a longer one with more destinations. We will show you the most beautiful routes with panoramic views on the Sciliar, Sasso Lungo, Sasso Piatto and much more. The starting point is generally Compaccio on the Siusi Alp, the parking place of our carriage. In winter we use a sleigh. The parking place can be easily reached with the Siusi Alp orbit, starting from Siusi allo Sciliar. 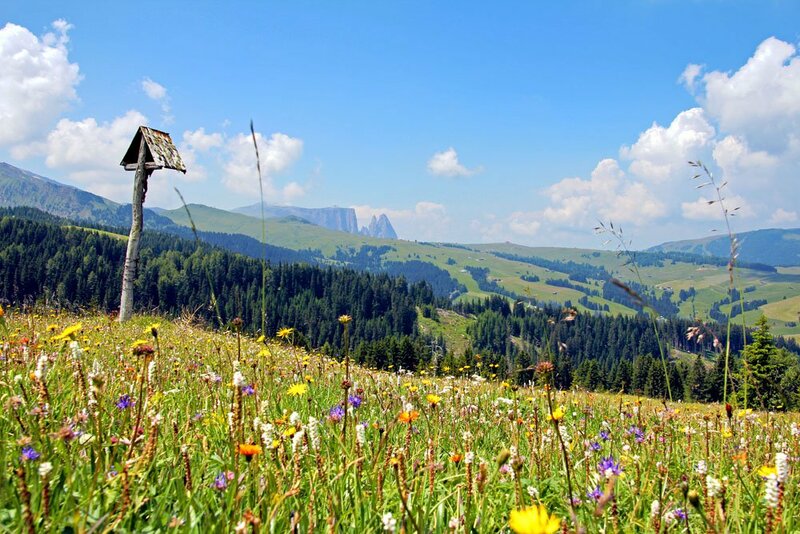 With an area of ca 57 square kilometres the Siusi Alp is the widest high plateau in Europe. As the Siusi Alp is covered with a lot of easily coverable trails, it is possible to choose among various routes by sleigh or by carriage. A further feature of this high plateau is that it belongs to the UNESCO World Heritage since 2009. 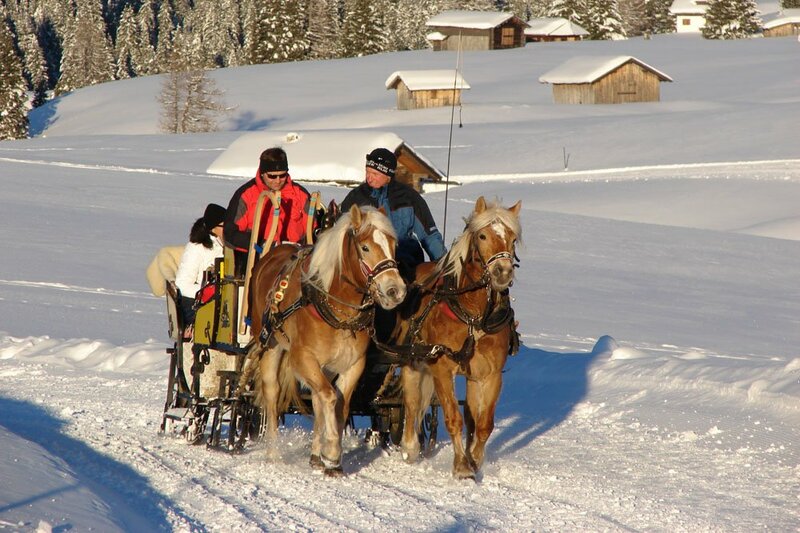 Upon request we organize for you an unforgettable carriage tour on the Siusi Alp!